We’re featuring essential oils that have deep, steadying base notes—they're great for helping us feel centered when there’s a lot going on. The Holidays are right around the corner for a lot of us. Do you feel like life is speeding up a little? You are going to love the recipes in this month’s newsletter! We’re featuring essential oils that have deep, steadying base notes—they are great for helping us feel centered and secure, even when there’s a lot going on. “Base note oils” have the ability to help us relax on deep levels. They include oils like Frankincense, Patchouli, Myrrh, Sandalwood, and (this month’s Essential Oil Spotlight) Vetiver. Even Ylang Ylang, which is a floral, can be described as a middle-base note. Many “base note oils” offer depth to our blends. They are beautiful when blended with a citrus, like Lemon or Sweet Orange. And they all tend to soothe irritation, calm emotions, and be gentle on skin! The recipes in this newsletter will help you use base note oils for skin care, emotional centeredness, stress relief, and more. Palo Santo, Myrrh, and Cedarwood all love “going deep.” They like long conversations, writing poetry, and deep sea diving. (They also all play bass in a very creative jazz band...) Spending time with these three friends can help you feel connected to what really matters to you. And you just may find that you’re better able to reach for the highest, happiest version of yourself when you have such a stable base! This inhaler also supports clear breathing and immunity. An Aromatherapy inhaler is about the size and shape of a lip balm tube. It consists of a few basic parts: a cotton insert that absorbs essential oil, a plastic “sleeve” that holds the cotton, and a lid that closes the whole thing up. So easy to make! Inhalers fit right in your pocket and you can literally use them anywhere. No one smells the essential oils but you. It’s like having an instant infusion of support whenever you need it! But Frankincense also helps soothe us emotionally and mentally. 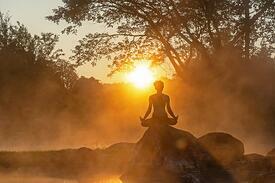 It’s been used throughout history for things like meditation, rituals, contemplation, and purification. This is Frankincense’s own homemade “Nourished from Within” Body Oil recipe! 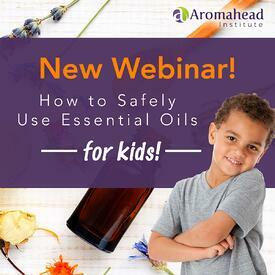 How to Safely Use Essential Oils for Kids! When a child you love is sniffling and sneezing, doesn’t have energy to play, or can’t sleep because they are congested... it feels SO GOOD to know which essential oils can help them, and how to use the oils SAFELY! Their healthy, smiling face is all the gratitude you need! I want to give you the ability to help the children in your life naturally, whether they are dealing with a cold or flu, anxiety, bedtime fear, earaches, or another common childhood issue. Get specific recipes and learn more at my webinar . . .
Having accurate information about essential oils—and being educated about using them for kids—makes all the difference in your ability to help kids NATURALLY and SAFELY. I’ll show you which oils to use and exactly how to use them. You’ll understand different methods of use (such as inhalers or lotions) and which to choose. No more questioning what drop counts to use based on the child’s age. And when essential oils are not the most ideal option, you’ll still know what to do. I’ll tell you all about my favorite hydrosols and carriers for babies and children. You don’t need a huge essential oil collection for this, either. A small collection will allow you to make everything you need. This webinar is FREE—but reserve your place soon, because I fully expect registration to fill up fast. I can’t wait to see you there! Corina Allan is an Aromahead graduate who lives in Romania, and she’s built an amazing community of people by writing, teaching, and consulting about essential oils. Corina’s websites and blogs are beautiful! She has Kalisara, which is a blog “where Science meets Spirituality.” This is where she writes about the science of essential oils and plants, and the chemistry of how they affect us. I just love that idea! That is a core concept for Aromatherapy. 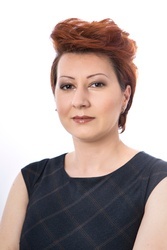 Corina’s blogs are a true wealth of information shared by a dedicated, Certified Aromatherapist. You can use “Google translate” to translate the blog pages into English, and they are very easy to understand. Many of her posts have a vibrant discussion going on in the comments—Corina has built a true community! 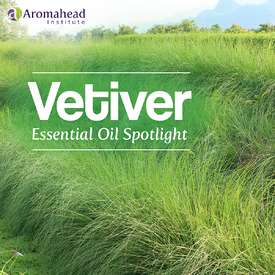 Vetiver (Vetiveria zizanoides) is the most grounded essential oil I know! 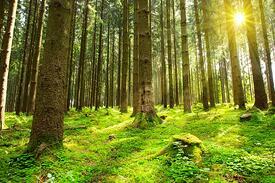 It’s distilled from the rootlets of the grassy plant, so the oil is deeply connected to the earth. I have a deep love of continuing my education. It allows me to continue growing myself and my business. That’s why I’m so excited to share this month’s business tip with you . . . it’s called “Skillshare,” and it’s an online platform where you can find over 24,000 classes on everything from design, to marketing, to being an entrepreneur, and more. Skillshare doesn’t just present new content to you and then leave you to your own devices. Teachers on Skillshare will give you feedback on your work. Their homepage says, “We believe the best way to learn is by putting your skills to use. That’s why every class on Skillshare has a project that lets you practice and get feedback.” Support is so essential when you’re learning something new, so this is a great feature. Anyone can create a class on Skillshare—you could even create your own online classes and share them with your audience and clients. (Take it from me . . . teaching is a great way to build a community of like-minded people!) Each teacher’s profile will tell you all about their qualifications, so you know who you’re learning from. You can get started taking classes on Skillshare for free. Here’s a link to their website so you can check out Skillshare for yourself! 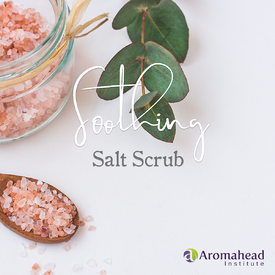 I’m going to show you how to make a soothing salt scrub that you can use in the shower to clean your skin and feel so rejuvenated. It can be fun to make your own essential oil salt scrub at home! Grapefruit essential oil’s zesty and alive citrus scent mixes beautifully with the earthy Frankincense. Frankincense essential oil is centering, beautiful and so nourishing for your skin. As we move into the holiday season, I hope the recipes in this newsletter bring warmth to your days, and maybe even inspire you about making Aromatherapy gifts for people on your list. Enjoy!